We accelerate the adoption of sustainable building technologies and sustainable urban development practices. Working to accelerate the adoption of sustainable building and urban development practices and policies. CIRS is part of UBC’s Campus as a Living Lab. Learn about research activities in environmental and human wellbeing. 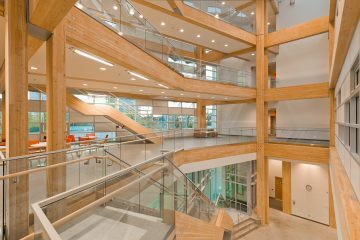 Explore the CIRS building inside and out, and download information on building design and systems. 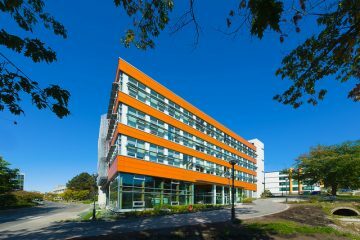 Looking to host an event in UBC’s most sustainable building? Book a space here. 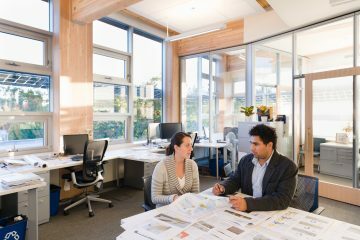 The Centre for Interactive Research on Sustainability is UBC’s first LEED Platinum certified building, a “living laboratory” that will help to advance research and innovation on global sustainability challenges.